Will Massachusetts become the first marijuana ‘sanctuary state’? 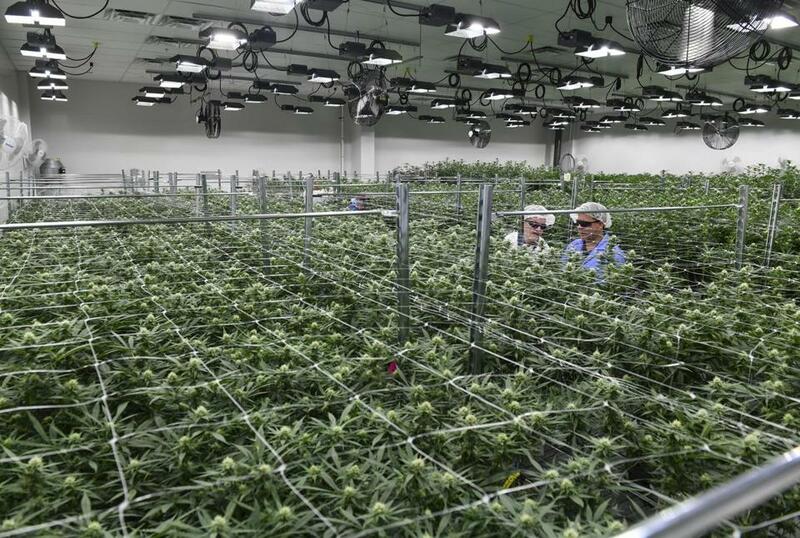 A “flower room” at Green Leaf Medical in Frederick, Md. Two state representatives want to turn Massachusetts into a sanctuary state for marijuana, filing legislation that would prohibit state and local police from participating in federal cases against people or licensed operators who follow state cannabis laws. The bill is a response to the decision earlier this month by Attorney General Jeff Sessions to end the US government’s hands-off marijuana policy and give federal prosecutors discretion to enforce the federal prohibition on the drug, even against state-licensed cannabis operations. Rogers called the shift in policy “retrograde and mindless,” noting that public opinion has swung heavily in favor of legalization. Andrew Lelling, the top federal prosecutor in Massachusetts, has called marijuana a “dangerous drug” and last week refused to promise that his office would pursue only illicit dealers. Those remarks rattled the marijuana industry and drew rebukes from top elected officials, including Governor Charlie Baker, who said Lelling should focus on the opiate crisis instead. The Massachusetts State Police, as well as police departments in Boston, Worcester, and other cities, have said they will not assist the federal government with raids on licensed cannabis dispensaries and cultivation facilities. The bill would make that policy mandatory for all departments in the state, and would additionally ban workers at other public agencies from turning over records to federal investigators without a court order. Rogers said the measure’s political prospects were uncertain, but noted that most of the state’s elected officials have opposed the move by Sessions, and that most police departments have “more pressing problems” than marijuana. The bill was conceived by Will Luzier, a local activist for the national Marijuana Policy Project who helped lead the campaign for the 2016 ballot initiative that legalized marijuana in Massachusetts. “I think it will help local law enforcement agencies to have clear parameters regarding their involvement with federal actions against lawfully permitted cannabis establishments,” said Jim Borghesani, a spokesman for the group. Called the “Refusal of Complicity Act,” the bill takes a cue from “sanctuary city” legislation that some municipalities have enacted to shield undocumented residents from federal immigration authorities. It also echoes the Rohrabacher-Blumenauer Amendment, a federal Congressional budget rider that prohibits the Department of Justice from expending funds on cases against state-legal medical cannabis operations. A similar proposal is pending in California’s Legislature. Dan Adams can be reached at daniel.adams@globe.com. Follow him on Twitter@Dan_Adams86.